Got Galvanized Pipes? Galvanized pipes in well systems are bad news. Bacteria and natural minerals react with the galvanized pipes and fittings to cause well owners much grief. 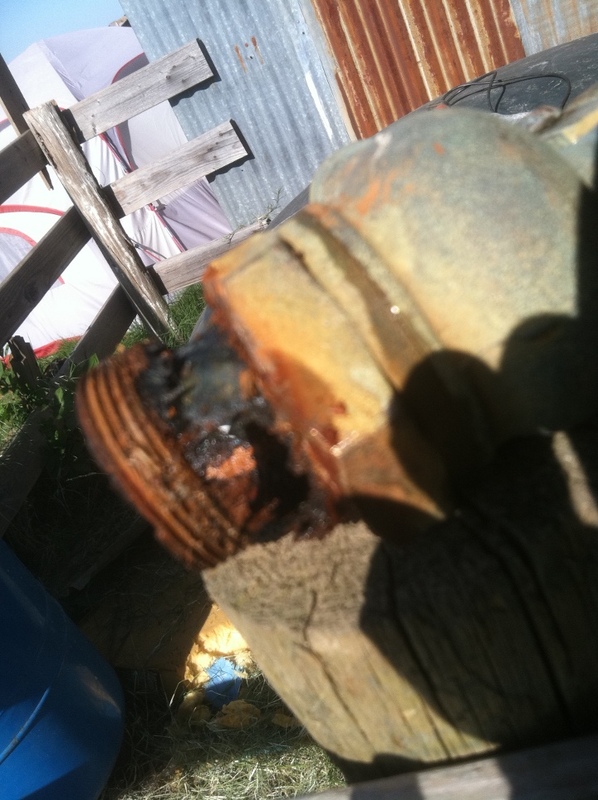 Precision Pump always uses PVC and/or stainless steel pipes and fittings to head off these kinds of issues. Iron Bacteria Eats Galvanized Pipes! 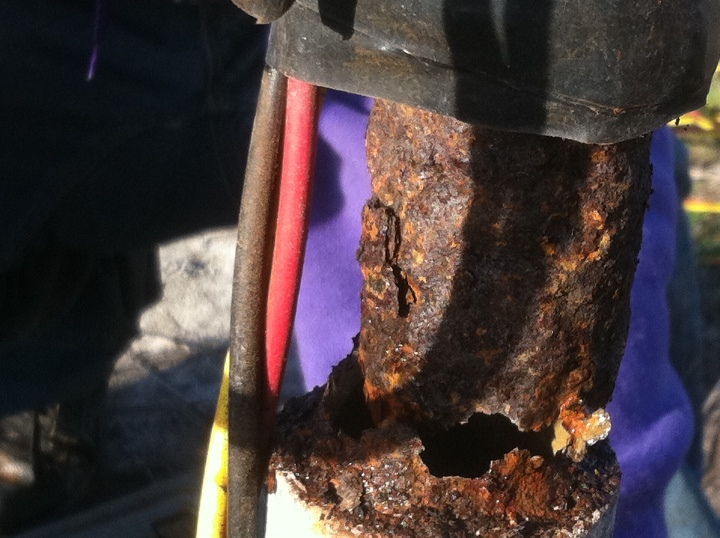 This is an example of what iron bacteria will do to galvanized pipe. It will eat through the pipe and make your water a rusty color. Bacteria Eats Pipes! 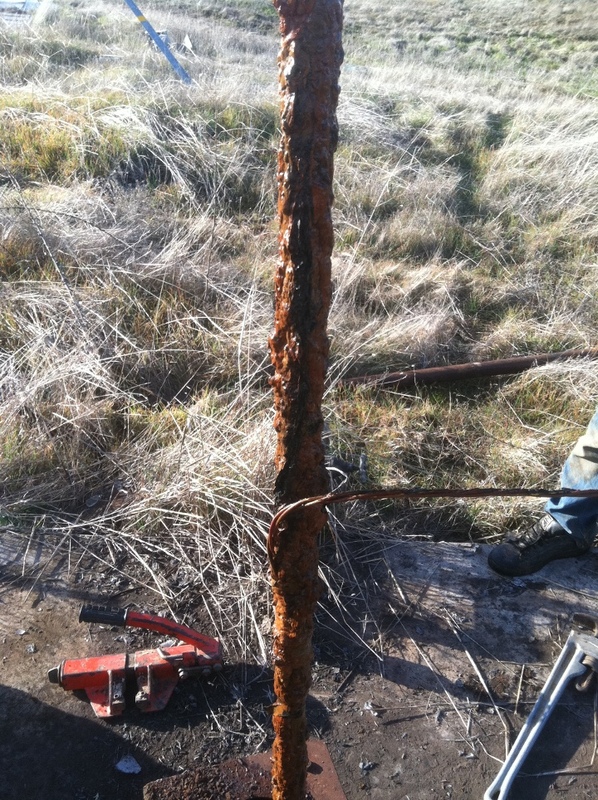 Iron bacteria can even eat completely through your pipe and break off in your well!